The masters of djent are back. Arguably the most successful and popular band of the whole movement, Periphery have grown from strength to strength thanks to major label backing and high profile support slots, including dates with prog-metal champions Dream Theater. 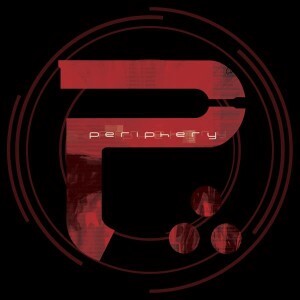 While their debut full-length ‘Periphery’ had strong songs all across the board (‘Letter Experiment’ in particular), the creatively named ‘Periphery II: This Time It’s Personal’ is a much more cohesive body of work, and a long one at that. At just under 70 minutes and including 14 tracks, this is a lot of tech-metal to sit through in one go, and it’s perhaps best dissected into three sections. ‘Muramasa’ to ‘Ji’ provide the aggressive opening songs – all fast-paced, hard-hitting tracks with groove and vocal brutality. There is no doubt Spencer Sotelo’s vocals have improved tenfold between recording the debut and its follow-up, hinted at on the ‘Icarus Lives’ EP. The real gems of this sophomore album lie between ‘Scarlet’ and ‘MAKE TOTAL DESTROY’. Things become a little more accessible in terms of vocal melody and structure, which means the most memorable tracks reside in the middle of the album. It’s a well thought out trick since it allows the listener a chance to breathe after the first four tracks have knocked you silly. ‘Erised’ to ‘Masamune’ is the homestretch – and this is where the experimentation happens. ‘Erised’ is one of the few tracks that slows things down just a little, while ‘Epoch’ is an instrumental track that allows Jake Bowen the chance to show he’s not just a virtuoso guitarist, but a great electronica musician too. This is a different band from their debut. Gone are most of the complex riff passages like the intro to ‘Buttersnips’ and the rhythmically mad ‘The Walk’. Nothing comes close to being as pleasant as ‘Jetpacks Was Yes!’ either. Instead, the guitars present a constant wall of dissonant and elaborate barrages. It is a full-band effort, with Spencer asserting his vocal dominance more than ever, and rightly so considering his stellar performane. Listening to Periphery is always a rewarding experience. It’ll take listen upon listen to let every song digest and become memorable in some way; the album’s length is detrimental to each song’s unique qualities. Break the album down how you see fit, approach it from different angles. This is prog-rock – here, nothing is ever as simple as it seems.